All members are welcome to a the Gainesville Modern Quilters Sew Day on July 27 at JoAnn Fabrics (Butler Plaza) from 10 am to 6 pm. We have reserved JoAnn’s classroom for the event. 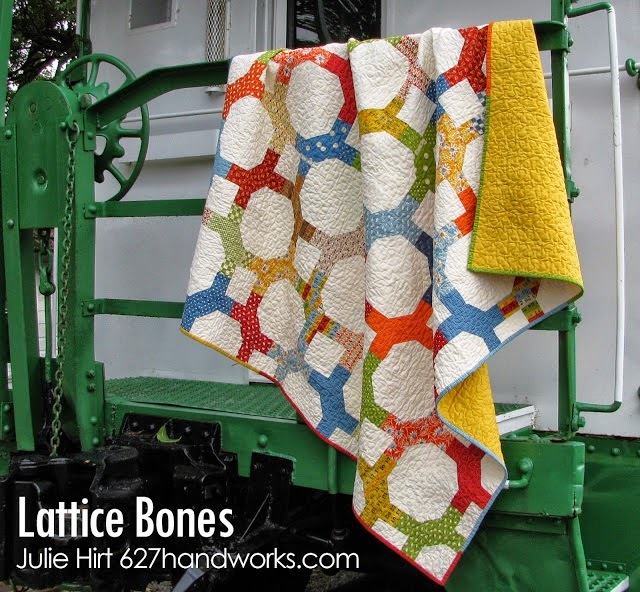 We will be making the Lattice Bones quilt by Julie Hirt as published on the Moda Bake Shop. Please refer to the pattern here. This pattern utilizes pre-cut fabric (jelly rolls). However, if you chose to use yardage, please see my blog post about cutting and piecing to get you started. There isn’t alot of room to cut fabric in the JoAnn’s classroom, so you might want to get this prep work done at home and then just spend the day sewing. If you are newer quilter, there will be experienced quilters on hand to help you. I have personally pre-tested the pattern and I think the quilts will be awesome. These quilts are yours to do what you want with. It is not a charity project. If you want to work on something else, please feel free to bring any UFO you want to work on. This event is designed to build camaraderie, encouragement and to explore modern quilting. Please post comments if you have any questions or comments. ← Gainesville Modern Quilt Guild Bylaws and Membership–Please read and comment!